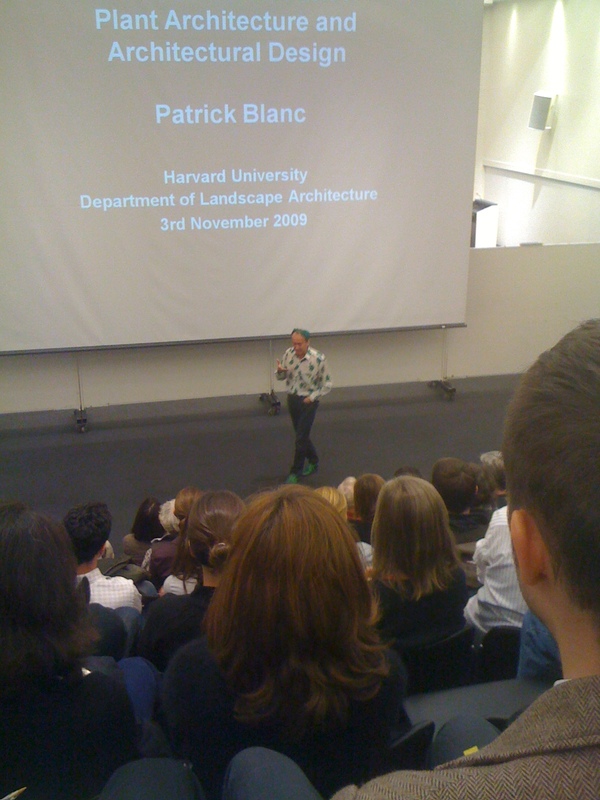 I went to the GSD tonight to hear a lecture by Patrick Blanc. Blanc is a world-famous botanist who known for his vertical green walls. His attention to detail, climate, design, plants, etc is unbelievable and his work is executed perfectly. I have been in awe for years. His lecture was very informative as he explained how he selects the plants, what inspires him, and how he constructs the wall. 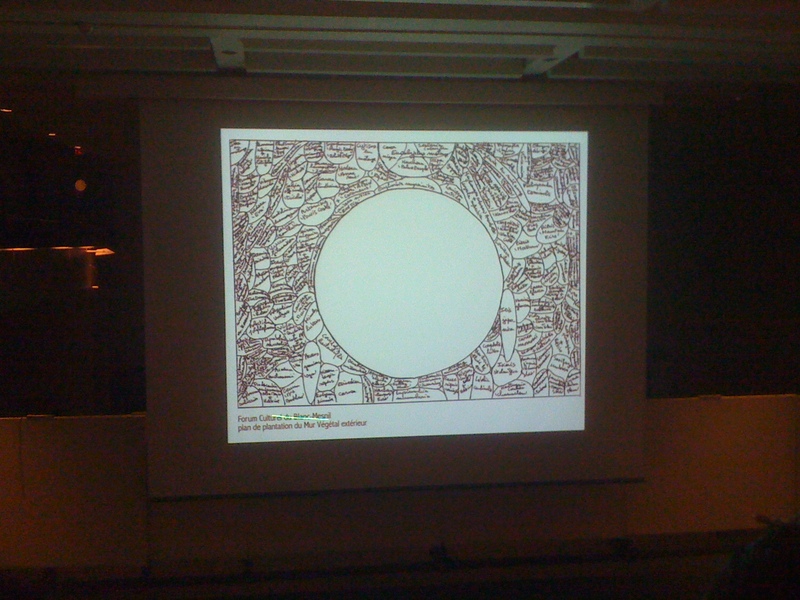 A sketch of how he lays out the wall with the different species for a wall. While the lecture was really interesting I kept going back to the fact that he has GREEN hair. It makes me miss when would dye my hair pink. Ahh time to reminisce about staining my desk before letting my mom help me. Or the time camp called my dad because my friend and I dyed our tips pink and purple and he told them ‘so what, I bought it for her’. I’m so envious of his green hair, ivy shirt, and green shoes… LOVE IT. Between his hair and Emily’s purplish hair (she dyed it for Halloween) I’m getting the itch to get some manic panic to add some fuschia tips.